Welcome Janelle Mead, new OFSWCD CEO! View Pictures from our Event! Our conference is successful because of our tremendous partnerships. Click Here to View Our Sponsors! 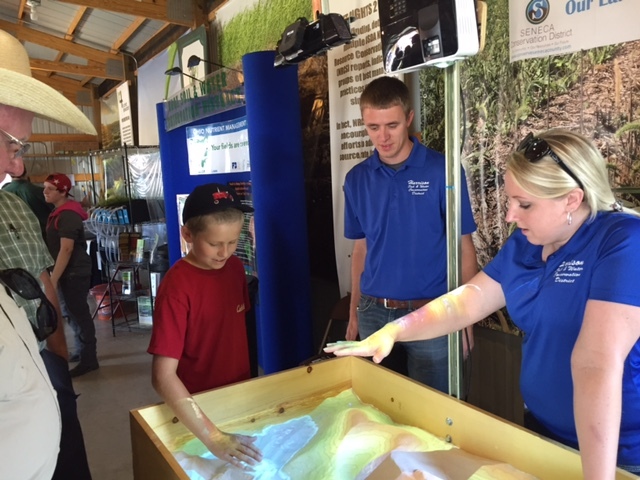 Don't miss the latest Soil and Water Conservation News from around the State! The Ohio Federation of Soil and Water Conservation Districts supports the work of Ohio’s 88 Soil and Water Conservation Districts who for 75 years have been providing locally-driven solutions to natural resource concerns at both the rural and urban settings of the SWCD’s in various capacities. We do this through legislative advocacy, public outreach, grant support, training, and development programs to better enable our SWCD’s to serve their communities. 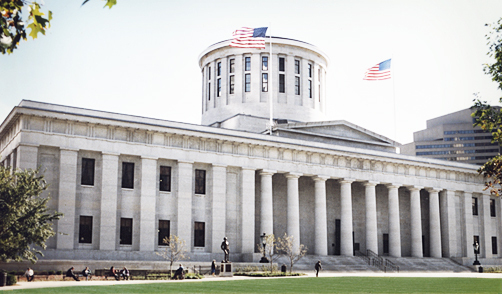 We are proud to work hand-and-hand with our Districts, as well as represent and support the important work they do throughout Ohio. Programs are designed to further our mission and provide much needed services for landowners and communities. Our leadership is committed to serving and spreading the message of conservation. Keeping Water Clean and Soils Healthy for 75 Years! "Leading natural resources stewardship to enhance Ohio's quality of life." 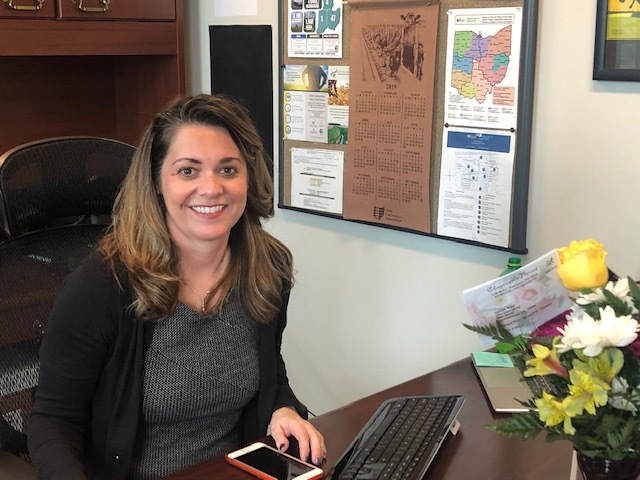 The Ohio Federation of Soil and Water Conservation Districts (OFSWCD) is pleased to announce Janelle Teeters Mead has assumed the role of Chief Executive Officer. “Janelle has a wealth of experience which will help lead our organization in this next chapter. We are excited to have her in this position,” said Bob Short, President. Growing up on her family’s row-crop farm in Fayette County, Mead has always been interested in agriculture Most recently, Mead served as the deputy director of the Ohio Department of Agriculture. Her responsibilities included overseeing the department’s animal health, communications, legislative, and marketing efforts, and shaping department policy. Mead has also worked for the Ohio Farm Bureau Federation, The Ohio State Alumni Association and Mycogen Seeds. She is a graduate of The Ohio State University where she earned a degree in agricultural communications. She and her family live in Fayette County. The Ohio Federation of Soil and Water Conservation Districts (OFSWCD) is pleased to announce the officer slate for 2019-20 as confirmed by the OFSWCD Board and Delegates. During the Annual Conservation Partnership Meeting, “Conservation Crusade: Inspiring Stewards for the Future,” held in Columbus, Bob Short, a Williams Soil and Water Conservation District (SWCD) Supervisor, assumes the role of the President. Matt Peart, a Wayne SWCD Supervisor, assumes the role of 1st Vice President. Jeff Duling, a Putnam SWCD Supervisor, assumes the role of 2nd Vice President. Dave Anspach, a Clermont SWCD Supervisor, assumes the Secretary-Treasurer role. And, Harold Neuenschwander, a Holmes SWCD Supervisor, who completed his two-year role as President will now assume the Past President role. This meeting brought together over 500 conservation leaders throughout the state, including Supervisors and staff from Ohio’s 88 county SWCDs, agency and staff from the Ohio Department of Agriculture, USDA Natural Resources Conservation Service, Ohio Department of Natural Resources, Ohio EPA, The Ohio State University, commodity and environmental groups, and many more. “I am extremely honored and excited to assume the role of President for this organization and to work so closely with these fine gentlemen,” said Short. “We have many resources challenges facing us and I am confident that our leadership will step up to address these issues head on and seek to strengthen our programming to help land owners, businesses and so many more improve water quality and positively impact our land,” concluded Short. 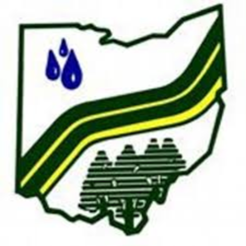 The OFSWCD is a non-profit organization providing support and assistance to Ohio’s 88 county Soil and Water Conservation Districts. County SWCDs provide a variety of conservation related assistance and programs to landowners and user’s of Ohio’s working lands -- working hard to keep soils productive and waters clean throughout the state of Ohio. Since its founding more than 50 years ago, Advanced Drainage Systems (ADS) has been an industry leader in water management solutions and environmental sustainability. ADS was the first to recognize, in 1966, that corrugated high density polyethylene pipe was a better solution than standard clay and steel drainage pipe. It didn’t take long for agricultural, commercial and industrial markets to agree. Today, more than 8.5 billion feet of ADS pipe are in service around the world. You can see its products everywhere – from farms and major construction sites with drainage requirements, to residential neighborhoods. Based in Hilliard, ADS maintains a significant Ohio presence, operating four manufacturing plants and a large recycling facility here. Engaged in the full value stream of sustainability in Ohio, ADS last year received a $200,000 Ohio Environmental Protection Agency grant to increase the volume of drainage pipe made with recycled plastic. ADS matched that amount with $368,308 of its own money. 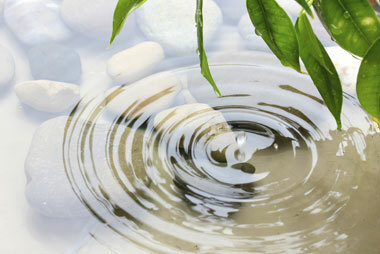 ADS protects the world’s precious natural resources as a global provider of water management solutions. In serving farmers, construction firms, schools and homeowners to manage water responsibly and safely, ADS employs environmentally-friendly raw materials and sustainability practices. For example, ADS takes discarded plastic that may have been intended for short-term use and turns it into new products. As a result, farmland is more productive, cities more livable and the world a greener place to live. ADS’s expertise in materials science has made the company a national leader in the use of recycled thermoplastics. With more than 30 patents issued since 2007, ADS continues to develop highly engineered products using environmentally friendly materials. Today, Green Line Polymers, ADS’s wholly-owned recycling business, processes reusable high-density polyethylene (HDPE) materials at eight facilities across North America. “This investment made a huge impact on our sustainability initiatives,” said Scott Barbour, President and CEO. This focus on recycling has made ADS the largest consumer of recycled HDPE in the United States and one of the nation’s largest recycling companies. In fact, it recycles five times more plastic waste than it generates, keeping more than 400 million pounds of plastic out of landfills each year. Jon Petz Featured Keynote Speaker! The Ohio Federation of Soil and Water Conservation Districts is pleased to announce Business Motivational Speaker and Peak-Performance and Engagement Expert, Jon Petz, will be the featured keynote speaker for the Annual Partnership Meeting, “Conservation Crusade: Inspiring Stewards for the Future,” to be held February 24-26, 2019 at the Renaissance Hotel in downtown Columbus, Ohio. As a keynote speaker Jon Petz, CSP brings the perfect trifecta of education, inspiration along with hysterical entertainment. 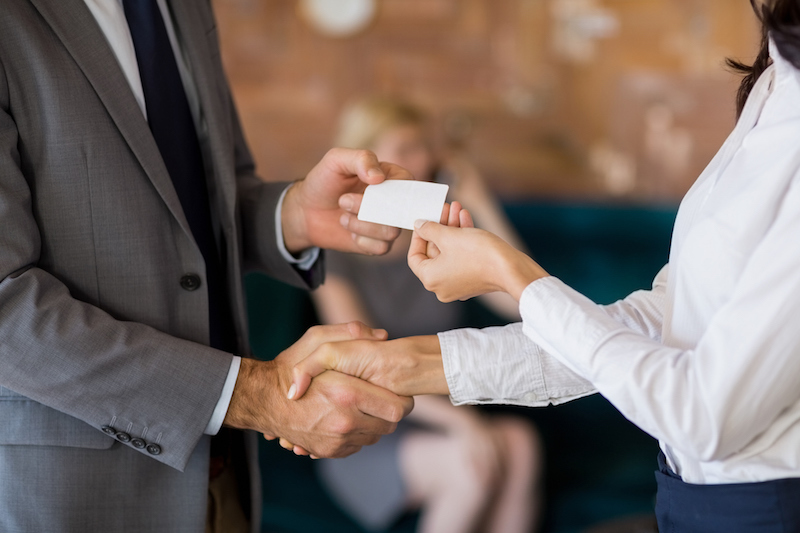 He has hosted and performed at over 1,200 events for clients including FFA, Society of Human Resources Management, Associations (across many industries), General Electric, and Marriott, to name a few as well as appeared on NBC, CBS, FOX and ESPN. He’s also an accomplished author of three books and has been featured by The USA Today, Wall Street Journal, CNBC, ABC News, Success Magazine and many other media outlets. American Business Journals named him a top 40 business professionals under the age of 40. Jon Petz is the founder of Bore No More™, an idea lab for increasing personal and employee engagement. Drawing on his diverse experience as a corporate executive, business magician and professional Speaker, his pertinent content is delivered masterfully with the engagement and relevance that is uniquely and unequivocally the Jon Petz Experience. Ohio’s 88 Soil and Water Conservation Districts (SWCDs) have been working for 76 years to provide locally-driven solutions to natural resource concerns at both the rural and urban settings. The Ohio Federation of Soil and Water Conservation Districts (OFSWCD) support the work of the SWCD’s in various capacities through legislative advocacy, public outreach, grant support, training, and development programs to better enable SWCD’s to serve their communities. We are proud to work hand-and-hand with our Districts, as well as represent and support the important work they do throughout Ohio. The Annual Partnership Meeting is a forum and environment that is conducive for the enhancement of and networking opportunities for the continuation of their mission. Conservationists from Ohio’s 88 county Soil and Water Conservation Districts, along with Ohio’s watershed organizations, local, state and federal agency counterparts -- technical staff and other key partners -- will converge in the state’s capital city and the Columbus Renaissance Hotel for the 76th Annual Conservation Partnership of the Ohio Federation of Soil and Water Conservation Districts (OFSWCD) on February 24-26, 2019. Special guests, legislators, agency and business leaders and more will be joining the movement as we come together to celebrate, inspire and prepare conservation stewards for the future. Register now! The overall goals of the cover crop study were to illustrate to the farmers the benefits of using cover crops. Establishing four demonstration sites by some of the largest and most respected farmers in the County so that surrounding farmers could observe the results and hopefully replicate the use of cover crops. 1. Reducing erosion on fields after harvest through spring. Aerial seeding proved to be an expensive and a risky way to spread the seed. Although weather is always a factor, the lack of seed/soil contact proved to be a larger barrier. Direct seeding by drilling or disking was a far more successful method of planting. The dense regrowth of the Cereal Rye in spring 2017 and 2018 definitely succeeded in this goal. 2. Retaining Nitrogen and other micronutrients in the soil for the following year’s crop. A true sign of success would be to see the farmers Nitrogen inputs reduced in the spring. Results – The results of Nitrogen values were mixed. 59% of the fields saw an overall increase in Nitrogen; 30% saw a decrease and 11% remained about the same. 3. Illustrate the increase in soil health with the addition of extra carbon from the spent cover crop. 94% of the fields had an increase of Soil Health over the 4 year study. 2% had a decrease in Soil Health and 2% remained about the same. These Soil Health results mark the biggest success of this study. 4. Demonstrate the increased water holding capacity of soil by adding additional plant residue via cover crops. The additional plant residue on the soil surface served as a mulch, increasing water holding capacity. This was especially beneficial on sandy soil. Repeated planting of cover crops increased this capacity. The Knollman’s in particular felt this increased their overall yields. Results – Both the Heyobs and the Knollmans acknowledged the increase water holding capacity of the soil. Both farmers plan to plant an increased acreage of cover crops in fall 2018. The Knollmans harvested 5 acres of Cereal Rye to save the seeds for planting. and organization for assistance and support of this study. Rick Haney, PhD, Soil Scientist, and his team at Grassland Soil and Water Research Laboratory, USDA- ARS, 808 East Blackland Rd., Temple, TX 76502. Dr. Haney and his staff performed the Solvita Method for soil fertility testing on all samples from our test fields. John Williams, District Conservationist, Natural Resource Conservation Service (NRCS) and William Cook, Soil Scientist, (NRCS) were both instrumental in providing aerial photos and maps for this project. All of the farmers who participated for their cooperation and time spent on this cover crop project. On Saturday, October 20, 2018, the Ohio Federation of Soil and Water Conservation Districts (OFSWCD) will officially celebrate the associations’ 75th birthday, the “Diamond Jubilee!” Officially created in law in October of 1943, the OFSWCD has used this year to celebrate the “Year of Conservation” and the tremendous conservation accomplishments done by Ohio’s 88 soil and water conservation districts! Formed from supervisors representing Ohio’s first county Soil and Water Conservation Districts (SWCDs) - Clark, Butler and Highland - for 75 years the OFSWCD has supported the work of Ohio’s 88 SWCDs in an effort to provide locally-driven, voluntary focused solutions to natural resource concerns in rural, suburban and urban settings. Today, the OFSWCD is led by 440 SWCD Supervisors from all 88 SWCDs. These supervisors lead nearly 500 employees who provide invaluable services to landowners, farmers, developers, educators, and many more within the counties they represent. The OFSWCD and SWCDs partner with local, state and federal partners to provide various programs and opportunities to the local constituency. “I am humbled and honored to represent the OFSWCD,” shared OFSWCD President Harold Neuenschwander, also a Holmes SWCD Supervisor. “I’ve experienced firsthand the conservation stewardship ethic that our districts demonstrate day-in and day-out in an effort to leave the land better for future generations. 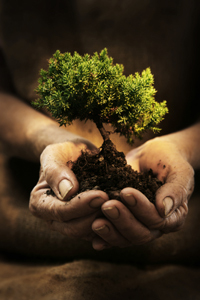 Taking care of our soil, our water and our resources is truly vital to living a good life. I am pleased we are doing things today that were envisioned 75 years ago -- and done with the same focus and vigor,” concluded Neuenschwander. Learn more about conservation efforts in Ohio by visiting the OFSWCD website at www.ofswcd.org or contact your county SWCD. The Ohio Department of Agriculture recognized five families representing each region of the state as winners of the 2018 Conservation Farm Family Awards at the Farm Science Review in London. BOWLING GREEN, Ohio — Agriculture is a vital industry in Wood County. Fields of corn, soybeans and wheat are seen as we drive through the county or even in our own backyards, yet we know little of how the products are grown and what they are used for. Products found on the store shelves are made from local products from local farms. On Sept. 15 from 10 a.m. to 5 p.m., the Wood Soil and Water Conservation District is partnering with county organizations and businesses to host a Wood County AG-Venture Self-Driving Farm Tour. Local agriculture industry leaders are opening their homes and businesses throughout Wood County to highlight Ohio’s No. 1 industry — agriculture. Visit the stops through-out the day at your own pace to sit in farm equipment, pet farm animals, talk to farmers and taste some farm food, then learn what agriculture is in Wood County. Follow Wood County Ag-Venture on Facebook to learn more about the Ag-Venture. Visit www.woodswcd.com/a-venture to find a printable map. Contact the Wood Soil and Water Conservation with questions at 419-354-5517. April is Plug Planting Time! 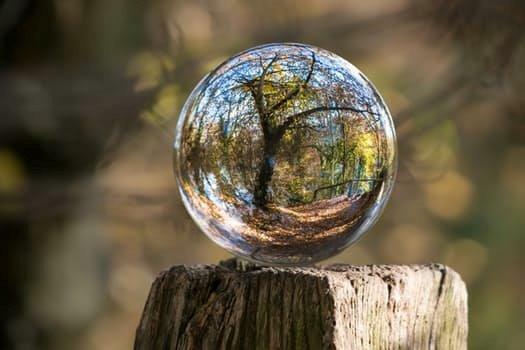 The Ohio Federation of Soil and Water Conservation Districts’ (OFSWCD) conducted the association’s 75th Annual Conservation Partnership Conference, “From Dust to Diamonds,” this past February. The event’s attendance included over 600 conservation leaders representing the local, state and federal government, farmers, business owners and many more. The Annual Meeting is conducted yearly in downtown Columbus and is focused on conservation training, development, education and outreach. During this year’s meeting, the following SWCDs were recognized for celebrating 75 years: Butler, Clark, Columbiana, Coshocton, Guernsey, Highland, Monroe, Morrow, Noble, Tuscarawas, Clermont, Fairfield, Logan, Meigs and Miami. Rick Bryan, a former Lucas SWCD Supervisor and Tom Reininger, a former Hamilton SWCD Supervisor and OFSWCD Past President, were inducted into the OFSWCD Supervisors Hall of Fame. Noble SWCD’s retiring Program Administrator Jim Mizik and Harrison SWCD received the President’s Award for service and a number of individuals were recognized for their 20,30 and 40 years of service. The 75th Diamond Reception and Gala event on Tuesday evening brought many longtime current and past conservation partners together to celebrate successes throughout the 75 years including. Those who participated in this special celebration included: OFSWCD Hall of Fame Members, former OFSWCD Presidents and Auxiliary members, Division of Soil and Water Conservation Chiefs and staff, retired SWCD staff members, retired USDA-NRCS employees and members of the Ohio Legislature. Each year, Farm Credit of Mid-America recognizes Ohio’s Cooperator of the Year. This year’s recipient was the Bishops’ of Hocking County for donating property to Hocking SWCD to use for conservation education. Brenda Siepmann from Clermont county and Anita Barnhart from Medina counties were recognized as the Teachers of the Year. Cuyahoga SWCD was recognized with the District of the Year for Excellence in Education. The Ohio Association of Soil and Water Conservation District Employees’ recognized Mike Sheeter of Jackson SWCD as the Supervisor of the Year and Susan Kuba of Delaware SWCD as Professional Employee of the Year. The USDA-NRCS recognized Earth Team Winners Sandusky, Gallia and Hocking counties for their excellent partnership efforts. This year’s event included special guest speaker, Ernie Shea of Solutions from the Land. He shared with the audience the importance of the past and present – but also highlighted conservation efforts happening to ensure a strong and healthy future. Various training workshops included topics such as water quality, soil health and cover crops, special program outreach, staff retention and so much more. 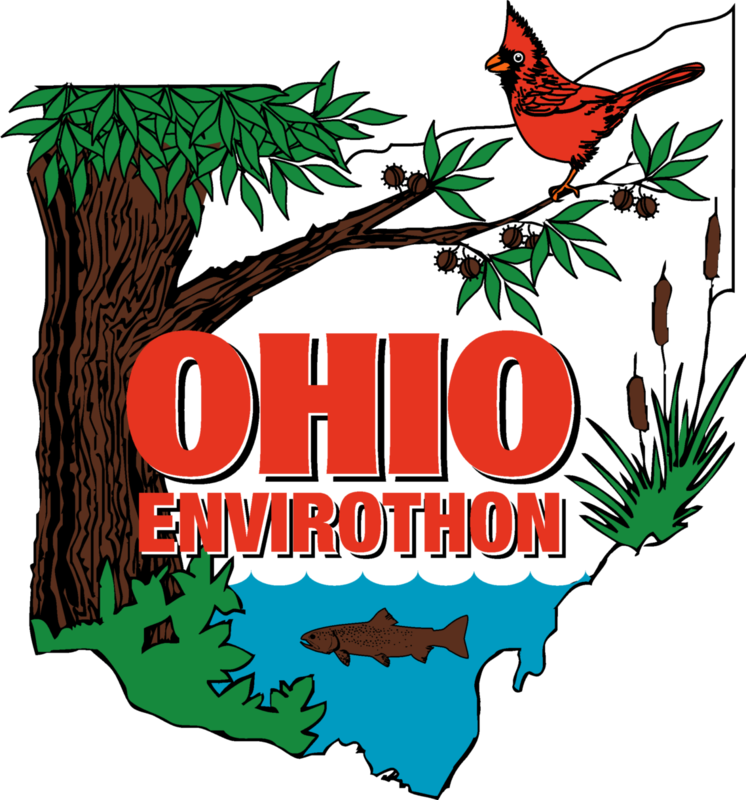 In addition, Ohio’s Envirothon program’s silent auction produced additional financial support to the High School Environmental Competition, which begins next month and concludes with the State competition in June at Cedarville University. The event was sponsored by over 30 different supporters and the meeting’s annual Trade Show experienced a record number of exhibitors! Highland SWCD turned 75. Take a look at how Highland became the first soil and water conservation district in Ohio.